Consider this your formal welcome to a new year, with new ways to consider investing. If you’ve been considering diversifying your investment portfolio with startup investing – read on for an overview of how to get started. Most financial professionals agree that asset allocation is one of the most important investment decisions, and many recommend diversification across asset classes, as opposed to just picking and purchasing stocks. Spreading your investments across asset classes reduces risk: Obviously, a portfolio comprised of only a few stocks and bonds is susceptible to a big hit should the market suffer a drop; or, even worse, a crash. Those who divide their investments — not only among different stocks and bonds, but other asset classes, such as cash, real estate, or short-term money market securities, for instance — won’t be as impacted by a downturn. Additionally, paying attention to the particular risk level of each investment, and balancing allocation appropriately, is a way to come out ahead. Depending on what your investment goals are – a child’s college fund vs. retirement vs. recreational – you will need to be mindful, too, of short-term fluctuations of the market. These days, in large part due to the rise in equity crowdfunding, as well as the strong track record of venture capital returns in the last few years, more individuals are now turning to startup investment as an additional asset class in which to allocate funds. The trend to expand one’s portfolio to include startup investments is also in large part a result of modifications in securities law in recent years that allow for the inclusion of venture capital investment. The JOBS Act, passed into law in 2012, significantly eased regulation of the crowd-funding community, too, allowing startups the option to raise funds directly from the public, subject to certain restrictions. If high-tech investing is a strategy you’re considering, the first conversation you’ll want to have with your financial planner is about the VC climate and equity crowdfunding scene, in general, and, then more specifically, what kind expectations you should have for return on your investment. Naturally, you will want to know how long you might have to wait before seeing returns – and come to terms, too, that venture investment is a binary one, in that it might yield high returns or no returns. 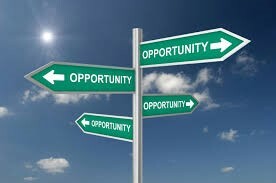 You might also struggle with determining which opportunity is the right one to back. Familiarizing yourself with the ecosystem, including both success stories and failures, is a way to more confidently allocate funds in this arena. According to the National Venture Capital Association, activity level of the U.S. venture capital industry continued to increase in 2015 for the sixth consecutive year. In 2015, 718 firms each invested at least $5 million or more during the year, of which 238 invested in first fundings. Ernst&Young, in their 2015 global venture capital trends report, reported $148 billion invested through 8,381 deals— the highest venture capital activity in nearly two decades. In short, a strong fundraising environment in recent years, coupled with some superstar success stories like those of AirBnb and Uber, has generated a momentum that makes venture capital investment even more attractive than it has been in the past. As with picking stocks, when you’re ready to invest in a tech startup, you might consider educating yourself both about the sector you’re interested in – whether it’s biotech, food security, software or IT – and then watch from the sidelines a bit before making a decision where to invest. Not every tech investor is going to be as savvy or as successful at first as, let’s say, actor and celebrity deal spotter Ashton Kutcher, whose portfolio (combined with that of his business partner, music manager Guy Oseary) numbers more than 70 investments that including Uber and “a roster of grand slams way past Uber–Skype, Airbnb, Spotify, Pinterest, Shazam, and Warby Parker,” according to Forbes. But there is something to learn from successes like Kutcher’s and Oseary’s, which they credit to being extremely observant, as well as focused on connecting to both a startup company’s founders and its mission. When he first started investing in startups, Kutcher says, “I spent 90% of my time just listening.” Since then, Kutcher has become “fluent in the language of tech startups, and it isn’t just token jargon.” According to the Forbes piece, Kutcher and Oseary, along with another investor, put $2.5 million into Airbnb, a stake now worth about $90 million. Their $500,000 investment in Uber–both during the seed stage round and in later ones–are now worth more than $60 million. Kutcher and Oseary — using a blend of observation, analysis, risk assessment, and intuition – have managed to get in early as investors in a few unicorns, the term for a start-up valued at over $1 billion. Familiarizing yourself with company valuation, ROI (“return on investment”), and market capitalization (“market cap”) is an important step toward deciding how to allocate your assets among venture capital or equity crowdfunding projects. How much traction the company already has, what kind of reputation its founders bring to the table, and what sort of impact its technology is anticipated to make within the marketplace are also key factors in your investment strategy. Tell-all webinar: Why are these angels investing with online equity platforms? 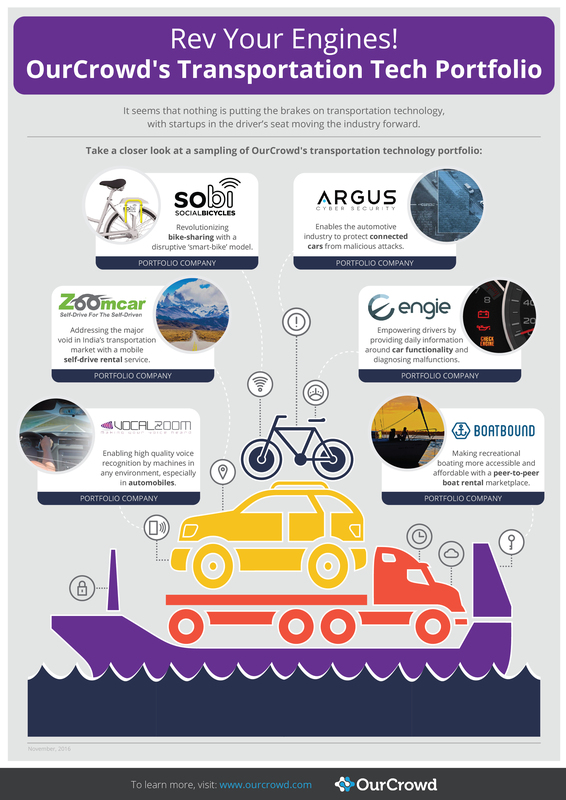 There is one additional draw to adding startups to your investment portfolio; quite a few startups are not only an investment in your own financial future, but in the future of humanity, whether it’s through groundbreaking medical research, disruptive consumer technology, or advancements in space exploration, food security, or renewable energy. Impact investing, as it’s referred to, can be a meaningful way to give back. To know there’s a chance that your investment might one day lead to the commercialization of a lifesaving medical device or the implementation of an agricultural innovation that brings clean drinking water to impoverished nations is not a motivation to overlook or belittle. This draw could hold, in fact, the most appeal. And, if so, there are a host of much-needed innovations from which to choose. Here’s to successful investing in 2017! 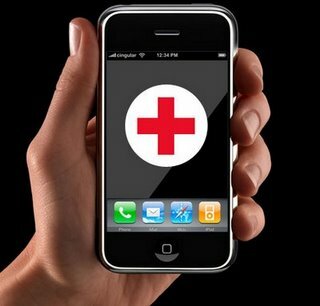 Pop quiz: What’s the most important medical device you’ll use in the coming years? If you said mobile phone — you’re in good shape. Emerging technologies, such as cloud computing, internet of things, and mobile apps, are connecting the digital and physical worlds and changing the behaviors of both physicians and patients. In other words, digital health is revolutionizing our approach to medicine, refining healthcare, and improving our well being. Digital health solutions are becoming necessary now more than ever as the global population ages and healthcare demands accelerate, all while supplies and services cannot keep pace. 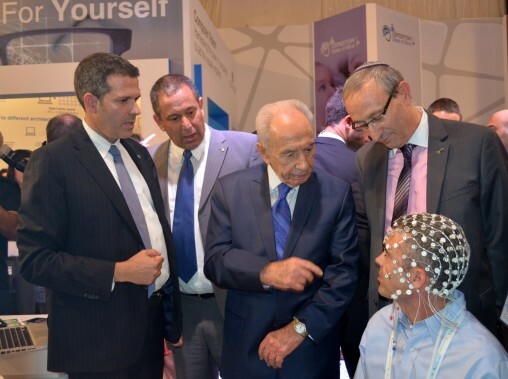 OurCrowd is excited to announce the launch of Israel’s first exclusively-focused digital health fund — OurCrowd Qure. The fund is raising $30-$50M to invest in Seed and Series A rounds in innovative digital health startups from areas like Artificial Intelligence, Big Data, Genomics, and Mobile Patient-Centric Solutions. Ultimately, companies that offer solutions to improve quality while simultaneously lowering costs through empowered patients, medical teams, and payers. 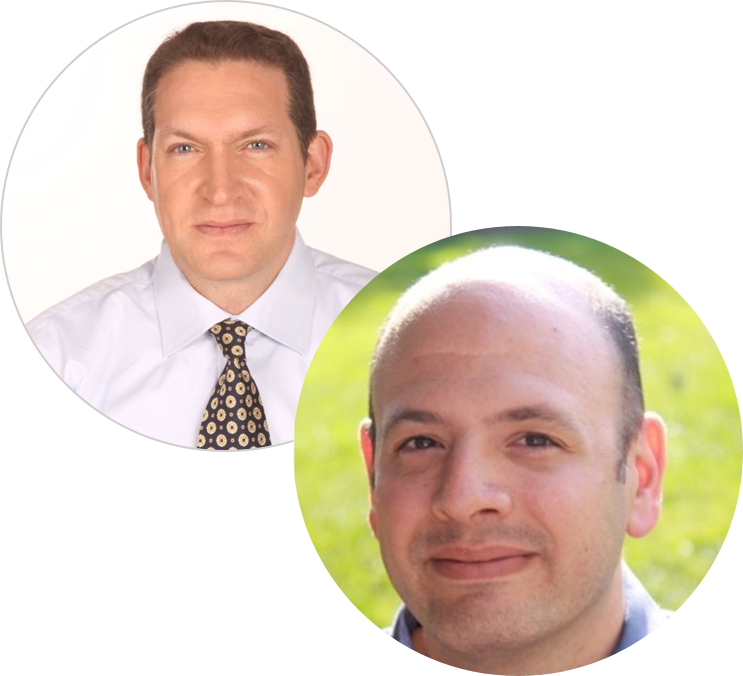 Led by managing partners Allen Kamer and Dr. Yossi Bahagon, OurCrowd Qure is OurCrowd’s first sector fund dedicated to the rapidly developing digital health market valued globally at $70 billion in 2015 and projected to be over $230 billion by 2020. Kamer was co-founder of Humedica, a transformative population health and analytics company, which was acquired by UnitedHealth (NYSE UNH – the largest U.S. health insurer) in 2013. Most recently, Kamer served as CCO of Optum Analytics, a division within Optum – UnitedHealth Group’s health services company. Bahagon, an active family physician and former director of digital health at Clalit (the second largest HMO worldwide), was Founder and CEO of Luminox Health, an Israeli healthcare startup specializing in digital medicine which was acquired by OurCrowd in June 2016. If you’re talking U.S. real estate, you are talking about a huge market. Real estate is the largest asset class in the U.S. – worth about $40 trillion, which breaks down into two parts: $23 trillion for residential housing, and $15 trillion for commercial real estate (CRE) accounts. And it’s a market that is still running, largely, on broker calls and site visits. Bottom line: While most people may not instinctively see any relationship between real estate and startups, the connection is there. The real estate market is a dinosaur, and it is more than ripe for technological transformation. Enter a growing number of cutting-edge startups that are transforming how business is done in the real estate industry. These companies are developing cutting-edge solutions that are increasing transparency, creating more equal opportunities, leveraging Big Data and complex algorithms that accurately determine risk, and automating manual tasks – potentially making an incredibly profitable market even more profitable. The most noteworthy characteristic of the real estate sector is its magnitude. Don’t forget that a market with these proportions also involves a huge number of stakeholders – and perhaps it goes without saying that there is a lot of money changing hands. Just to illustrate the dimensions of the real estate world, here are a few additional stats: In the U.S., there are approximately 3 million active real estate agents, about 500,000 construction professionals, and over 120 million actively managed commercial properties. The National Association of Realtors has 1.25 million members. In terms of lending categories, real estate lending is, by far, the largest. $1.6 trillion in new real estate debt is issued each year, with $1.1 trillion of that amount in the residential sector and $500 billion of it coming from commercial markets. And that number is growing, with annual commercial real estate lending projected to reach $1 trillion by 2030. The commercial side of the real estate market offers a massive opportunity, and here’s the reason why: The higher transaction values and stronger competition mean there is more at stake, and therefore, there’s a greater incentive to obtain a competitive advantage. Furthermore, each transaction is complex and involves the many individuals who are all part of the CRE ecosystem, including property brokers, mortgage brokers, lenders, developers, appraisers, and builders – and each and every one of these individuals is interested in finding new ways of increasing profits. With over 85 billion square feet of commercial space in the U.S. CRE market alone, new technology solutions are a natural fit for this sector. This is partly because the market is underdeveloped and inefficient, and partly because there is commercial data publicly available to parse – and this can be leveraged fairly easily by developers and entrepreneurs. The areas of opportunity in the commercial sector are many and varied, and include the development of tools for property management, research and analytics, tech-enabled brokerages, mobile apps, and commercial lending. Startups such as CrediFi, ClickNotices, and Matterport have developed innovative, scalable technologies – each in a completely different direction – that have the potential to disrupt the CRE market and change the future of the industry. The CRE debt and equity markets have long been characterized as opaque, with data controlled by brokers and gathered using outdated methods. As a result, investors and property owners are limited in their abilities to assess and monitor risk in order to make informed investment decisions. That’s where CrediFi comes in. CrediFi is designed to bring greater transparency and reliable data to the market, providing a better understanding of property values and tenants – and allowing lenders to gain a better understanding of their loan portfolios. CrediFi applies scalable Big Data and data mining techniques, creating a real-time credit quality and risk monitoring tool by using a range of sources such as information available online, public records, and institutional reports, as well as data contributed by its user base. By applying its own, proprietary algorithms, CrediFi monitors owner-level credit worthiness and risk factors such as capital expenditure requirements and tenant composition, to assign assets a unique CrediFi credit score. 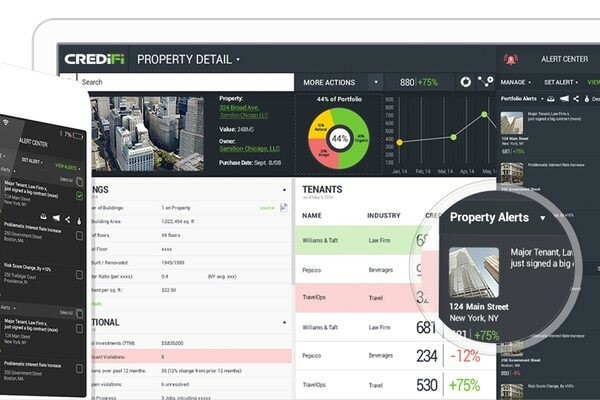 With its scalable solution, CrediFi is designed to help de-risk, grow, and change the real estate financing market. 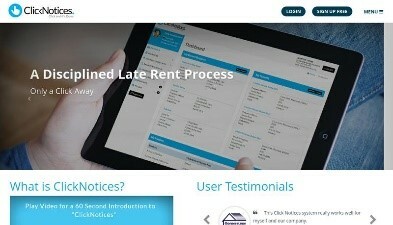 A striking example of how technology is revolutionizing the property management industry is ClickNotices, a secure, cloud-hosted court administrative platform that simplifies and offloads the entire process of managing late rent. 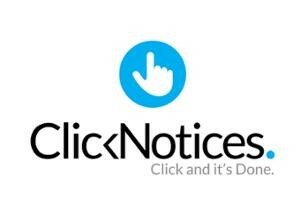 ClickNotices handles a wide variety of tasks including preparing late rent notices or demand letters, ensuring property tenant services for a jurisdiction, completing and filing cases with the court (including payment of all fees), attending court hearings on behalf of clients, managing sheriff department logistics and payments, and providing online and email case status updates. ClickNotices currently has over a thousand users, including many of the largest multifamily property management companies in the U.S., in addition to working with small property management companies and individual property owners. 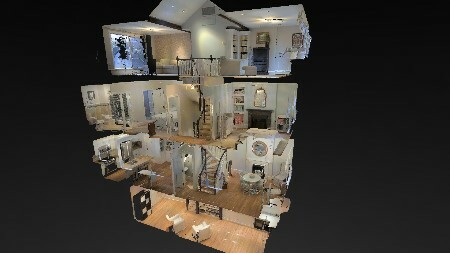 A natural hit in the real estate market is an ingenious solution by Matterport, a startup that developed a $4,500 camera that turns the real world into the virtual one by creating an immersive, 350-degree “window” of what it’s like to be any space or environment. The technology allows a new, inside view of how it feels to be inside a commercial or residential property. Thus far, the company has sold thousands of cameras that generated tens of thousands of virtual scenes, explored by over 1.2 million unique viewers per month. Matterport raised $16 million in its Series B round in 2014 and raised another $30 million in its Series C round in 2015. With these funds, it is now focusing on turning real 3D spaces into the next great method of communication – allowing consumers to experience any part of the world, and sharing everything from news stories, to searching for an office space or a place to live. And that’s just the beginning. The company is currently working in partnership with Google’s Project Tango, an indoor VR mapping project that uses a smartphone camera as the scanner. According to co-founder Matt Bell, as mobile devices in the future start to have 3D sensors built into them, the company intends to make it easy for consumers to capture this type of immersive media themselves and build their own digital representations of real places. Today, the CRE financial market is surprisingly opaque – despite its substantial size. One reason for this is the role of the brokerage community, which controls the information flow and profits from market opacity. Within this community, market influence is highly concentrated among the top five brokerage firms – who control 65% of the market. This demonstrates the highly relationship-driven nature of the real estate industry and underscores its lack of transparency. Brokers often show opportunities only to their “preferred” buyers or lenders, failing to yield certain stakeholders the optimal outcome that would be achieved with a more competitive bidding process. 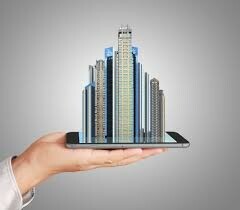 The innovative, scalable solutions now being developed and marketed by a growing number of technology startups for the CRE market are contributing to greater democratization and a transparent access to information, leading to the insight-driven investment decisions that will allow stakeholders to optimize their profits. And it’s only relatively recently that investors and venture capitalists have started to take advantage of the significant opportunities that lie within the real estate startup industry. In 2014, venture capital funds invested $605 million in real estate technology firms, an increase of over 25 percent from 2013. In the first half of 2016, real estate tech startups raised more than $1.8 billion across more than 100 deals, which represents an 85% increase compared to the same period in 2015. Real estate tech has now established itself as a formidable category, potentially disrupting this centuries-old industry and injecting it with new excitement and significant opportunities for growth. To find out more about CrediFi and other investment opportunities on our platform, contact our Investor Relations team or visit our website. Recent years have seen strong growth in the cybersecurity market, which is expected to continue booming. Now worth about $122.45 billion, cybersecurity is expected to increase about 10% a year through 2021, according to a recent study by MarketsandMarkets. The growth of the industry is driven by a wide array of existing segments that have grown to touch more and more parts of our lives, as well as by completely novel security needs that arise in changing market conditions. This great diversity within the cybersecurity sector yields a field whose products and services range from authenticating users with facial recognition to evaluating the likelihood that a known vulnerability might be exploited. This is frequently reflected in the breadth of cybersecurity investors’ portfolios, including OurCrowd’s. For example, Fireblade relies on behavioral patterns to identify malicious or unwanted users on web applications. 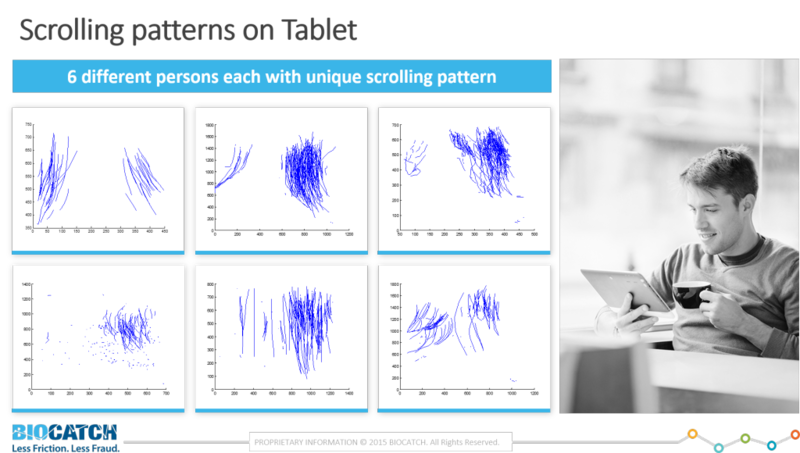 BioCatch offers a similar behavioral-based solution to identify users based on their physical interaction with devices. Companies like Argus make sure that cars, increasingly connected to the internet, are inaccessible to bad actors. Kenna, helps security teams prioritize their response to the vast amounts of cybersecurity warnings and alerts presented to them daily based on perceived relevance to the particular organization and its setup. Though diverse in their approaches, essentially all companies in the cybersecurity space today – both young and mature – deal with information technology (IT). That is to say that they deal with technology as “lay people” may think of it – PCs, smartphones, the internet and world wide web, software and apps. Meanwhile, operational technology (OT), which refers to the hardware and software that controls the physical operations in industrial facilities and large machinery, has remained relatively untouched by the $100B+ of products and services sold to secure IT annually. This has left industrial facilities and critical infrastructure facing growing risk of cybercrime and warfare. Here, it is the physical operations of facilities themselves – such as utility companies’ distribution of electricity or water – rather than business or customer information, that must be protected from outside manipulation or disruption. Other examples of operational technology include networks that control transportation systems, such as railway, air and shipping traffic, as well as the manufacturing of food and pharmaceuticals. While such industrial processes have long been controlled partially by computers, the connection of these systems to the internet in recent years has made them vulnerable to cyber-attacks. 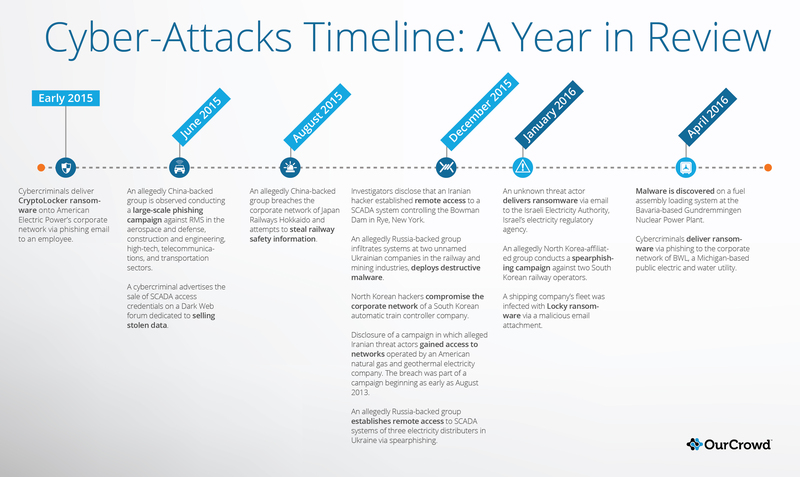 The world has seen a growing number of attacks on industrial facilities and infrastructure. 2015 saw more attacks on these systems than ever before, according to a report from Booz Allen Hamilton Inc. About one-third of surveyed companies reported a breach in the previous 12 months, according to the Booz Allen Hamilton report. Attacks and breaches have targeted OT in various sectors, making it clear that traditional IT-based cybersecurity solutions are not sufficient. For example, in December, 2015, Iranian hackers gained access to information about the water levels, temperature, and status of gates in the Bowman Dam in New York. Later that month, Russian cyber-attacks installed malware on two Ukrainian systems controlling railway and mining operations. In early 2016, malware was discovered on a fuel assembly loading station at a German nuclear power plant, and a Michigan utility had to shut down part of its corporate network to prevent malware from affecting the distribution of water and electricity. 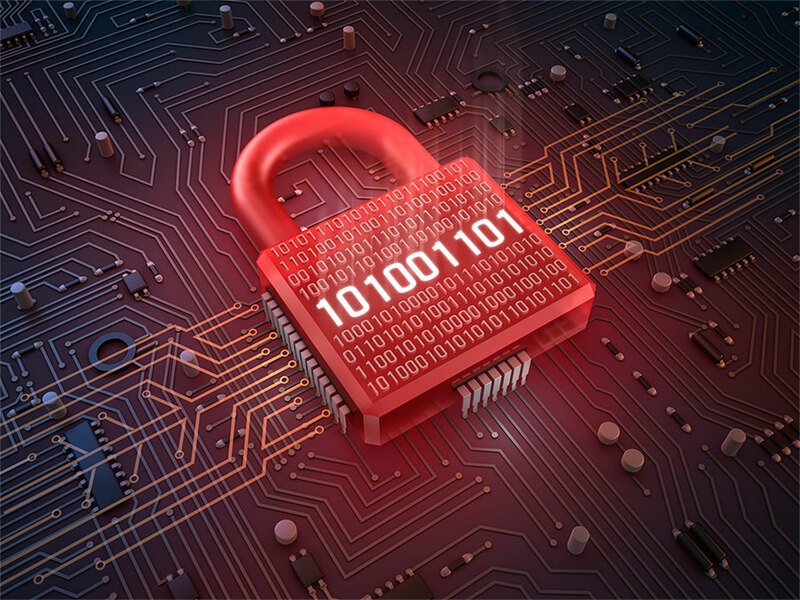 The OT cybersecurity sector is poised for growth as demand increases for services and products to protect industrial systems and networks, in places ranging from manufacturing plants to electric grids. To find out more about cybersecurity investment opportunities and others on our platform, contact our Investor Relations team or visit our website. The Olympic Games have always been a time for the world to come together and admire the potential of the human species as a whole, especially the athletes’ physical and mental capabilities, like talent, skill, and strategy. But there’s a lot more to admire about the international sporting event, namely the proliferation of amazing technological advances that help the athletes on an individual level and facilitate the event itself taking place. High-level security technology, medical innovations, and imaging technology, for example, are being put to service in sports and sporting events to prevent and treat injury, improve training and performance, enhance the experience for fans, and more. As the 2016 Rio Olympics are rapidly coming to a close, we survey four outstanding companies from our portfolio, highlighting their current and potential contributions to the sports technology sub-sectors and events inside and outside the arenas – the OurCrowd-Olympics connection. As the developers of a revolutionary video synopsis technology, BriefCam has a direct connection to the summer Olympics as it is helping Rio monitor its bank of surveillance cameras and is assisting authorities in keeping track of what’s happening at street level. BriefCam’s video security software compresses large streams of surveillance video from hours into minutes, enabling easy tracking of criminals and suspected individuals. When an athlete sustains a head injury, like 2008 US Winter X snowboarding medalist Kevin Pearce and 2004 & 2008 US Olympic soccer medalist Briana Scurry have, it can be difficult to ascertain the damage. Existing brain diagnostic tools cannot adequately explain many adverse symptoms, behaviors, and brain functions. ElMindA is the world’s first FDA-cleared neuronal functional assessment tool. ElMindA’s solution uniquely measures how different parts of the brain communicate, enabling mapping and quantification of a variety of previously immeasurable conditions. ElMindA’s revolutionary technology can be applied to a myriad of conditions and their therapeutic interventions, especially in the realm of sports and sports medicine. For instance, in the last couple of years, ElMindA has been used in the treatment of concussions in American professional and college football players. Recently acquired by Intel (March 2016), Replay Technologies was one of several sports-oriented collaborations representing the chip giant’s growing interest in the digitization of sports. Replay Technologies developed Free Dimensional Video (freeD), which provides sport fans with an immersive real-life viewing experience with a vision of true virtual reality sports viewing. It’s used in the NBA, the NFL, and the PGA already. It’s only a matter of time until the freeD video format will allow Olympics viewers to experience never-before-seen perspectives of the live Games. Unfortunate are the sports accidents that leave an athlete permanently paralyzed. Former 2004 & 2012 US Olympic high jumper Jamie Nieto was recently paralyzed in a training accident and Amy Van Dyken, 1996 & 2000 Olympic gold medalist swimmer, was paralyzed from the waist down in an ATV accident. Thanks to technological advances in the medical sector, the paralysis doesn’t have to mean that former athletes are forever wheelchair bound. Some can continue to participate in various sport activities. For instance, ReWalk‘s lightweight exoskeleton enables those with spinal cord injury (SCI) to stand, walk, and even climb up and down stairs again. 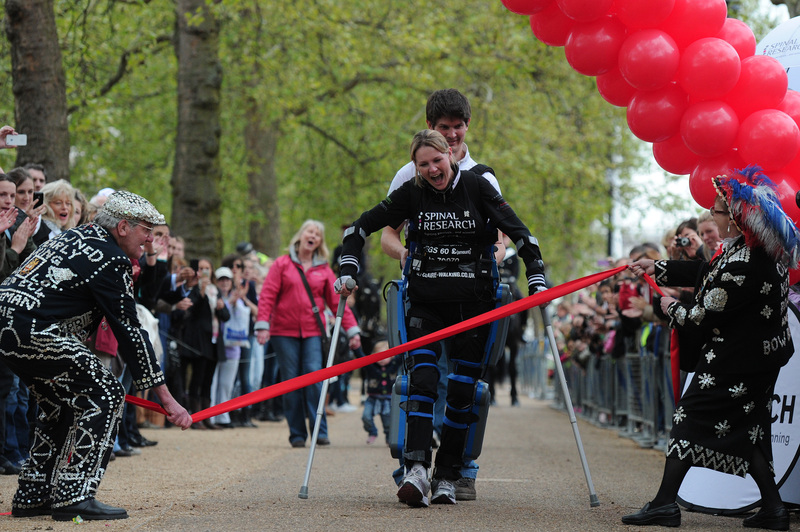 In 2012, British horseback rider Claire Lomas – a 32-year-old from Leicestershire, who was left paralyzed from the chest down following a horse riding accident – finished the London Marathon, crossing the finish line using a bionic ReWalk suit! In the sports arena, the future is now: sports technology and all its relational and/or accompanying sub-sectors are evolving fast. For this reason, sporting events around the world can potentially produce some of the hottest investment opportunities today, ranging from performance enhancers to improving fans’ sports-viewing experience and diagnosis & treatment of sports injuries. OurCrowd has a ringside seat for seeing what’s trending right now and for finding the best investment opportunities these sectors have to offer. To find out more about these companies and investment opportunities on our platform, contact our Investor Relations team or visit our website. A special thanks to OurCrowd’s Debra Greenstein in the editing of this piece! Can blood be tested more quickly, conveniently, and inexpensively, in order to save lives? 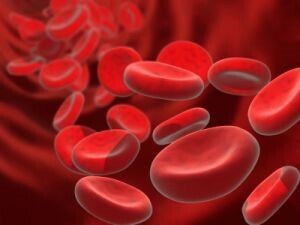 It’s a question of what tools and methods are used to accurately detect blood anomalies and differentiate between all types of blood cells, in order to identify blood-based diseases. 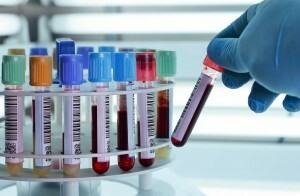 Blood tests are done for many reasons – for example, to help diagnose disease or, conversely, to rule out the possibility of a disease even when symptoms suggest its presence. Whether caring for an individual patient or responding to a worldwide epidemic, rapidly establishing the cause of disease is fundamental to quality care. Classic microscopy is considered to be the gold standard – the most effective approach to the diagnosis of infectious disease, particularly malaria. The history of microscopy goes back to the late 1660s, when Antony van Leeuwenhoek began to grind his own lenses and make simple microscopes. Modern microscopy started in 1931, when a pair of German scientists invented the electron microscope, which directs a beam of speeded-up electrons at a cell sample. As the electrons are absorbed or scattered by different parts of the cell, they form an image that can be capture by an electron-sensitive photo plate. This model enables scientists to view extremely small parts magnified as much as one million times. A newer approach to blood testing involves parasite-based diagnosis using rapid diagnostic tests (RDTs), which generally offer the best solution in remote areas that have limited access to microscopy services. RDTs have the advantage of being relatively easy to perform and interpret and they provide results rapidly, in less than twenty-five minutes. 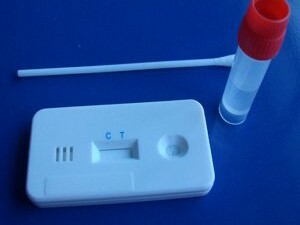 In recent years, RDT use has significantly expanded, particularly for the diagnosis of malaria. Manufacturers surveyed by the World Health Organization for the World Malaria Report 2015 reported a total of 314 million RDT sales in 2014. A third approach is polymerase chain reaction (PCR), a method developed by scientist Kary Mullis, PhD, in 1983. 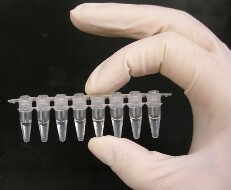 PCR amplifies or detects segments of DNA that are specific to a genetic sequence or organism, and it can be used to detect infectious agents and genetic markers of noninfectious disease. PCR has the advantage of being quick, with results available within a day – and large numbers of samples can be completed simultaneously. In addition, because PCR can amplify small amounts of genetic material, it can identify very low numbers of organisms in a sample. Applications of PCR include the detection of certain genes in a person’s DNA, such as those associated with cancer or genetic disorders, and it can also be used to detect the genetic material of pathogens that are causing disease, like malaria. In many environments, particularly in developing countries, the traditional solutions are simply inappropriate or ineffective. For example, in rural areas, the sophisticated tools and professional expertise necessary for microscopy and PCR generally are unavailable, and care relies on RDTs. But RDTs can be inaccurate at low pathogen concentration, sometimes resulting in misdiagnosis and contributing to unnecessary deaths. Another reason RDTs are so widely used in developing countries is that both microscopy and PCR have a high price point. When it comes to microscopy, the cost is linked to the number of patients diagnosed at a facility per year. The fixed costs (the microscope, staff training, and lab supervision) are the same regardless of laboratory throughput, and these costs are more widely distributed as the caseload increases, reducing the cost of each individual diagnosis. In places where there are fewer patients, the costs per case are very high compared to RDTs, which have a fixed, low, per-test cost. The PCR option is also costly, with the expense of instruments ranging between $4,000 and $10,000 – a price that essentially confines PCR to laboratories that are well funded (such as universities) and excludes field-based health initiatives. In more urban areas that do have the tools, expertise, and funding for microscopy and PCR, diagnosticians are faced with a different set of problems. One source of concern is that because the traditional methods involve manual processes, there is always the risk of a diagnostician making a mistake. And while microscopy and PCR are the most complex, even RDTs – theoretically the simplest of these methods to implement – rely on careful test implementation. Studies have shown that the accuracy of RDT testing is highly user-dependent. Health workers in remote areas with little supervision are relying on instructions provided by the manufacturer, and mistakes in preparation and interpretation are common. A related challenge, specifically with regard to microscopy, is the turnaround time. The process of microscopy is slow and complex, requiring about fifteen minutes of manual labor for the preparation of a sample, which requires a thin smear and staining – plus thirty-five minutes of time for scanning. This means a total of fifty minutes per slide. In addition, direct microscopy can have low sensitivity and a sample may, in certain situations, take days or even weeks to return results. In the last couple of years, a number of potentially disruptive technologies and products have been developed that offer new solutions to the question of effective blood diagnostics at the point of care. Cor, for example, is a two-year-old Silicon Valley startup that helps measure heart health with at-home blood testing. Founded by former Apple executive Bob Messerschmidt, Cor allows individuals to track issues such as blood pressure and cholesterol. The system includes disposable cartridges with very fine needles, similar to what’s used for glucose testing, that draw a tiny drop of blood. The cartridges are then inserted into the Cor reader, which sends blood chemistry information into the cloud to be analyzed and sends a comprehensive update to an individual’s smartphone within five minutes. Cor is careful to define their offering as providing lifestyle guidance, but not medical diagnosis. The company – which sells its product for $299 (plus $10/month for the disposable cartridges) – employs just a handful of people, but has already raised $1.03 million in seed funding. Another interesting product is being developed by a year-old liquid biopsy startup called Freenome, which has created early detection tests for cancer using a non-invasive blood test (instead of an invasive biopsy). The system is based on a fusion of genomics research and computational expertise, with a learning engine that detects cancer by evaluating the dynamic collection of genetic material floating in the blood (cell-free). The Freenome platform, which helps individuals track their health on an ongoing basis, recently raised a seed-round of $5.55 million led by Andreessen Horowitz (and coming from Andreessen Horowitz’s months-old, $200 million Bio Fund). Theranos, a blood-testing technology company founded in 2014 that quickly became a media sensation, has not had an easy ride. Theranos claimed it would revolutionize blood testing using a pinprick of blood – and that it could run up to seventy lab tests in record time. In 2015, it won the right to process a complex, authoritative blood test outside of a lab. Then Theranos’ troubles began, which included a Wall Street Journal investigation (last October) that uncovered problems with the accuracy of the company’s technology and the state of its labs. The FDA revoked the federal license of one of the labs and banned the company’s CEO, Elizabeth Holmes, from owning or operating labs for at least two years. But the other week, in a surprising twist, the company unveiled a new, all-in-one Zika-detecting tabletop minilab, which runs automated tests using blood and urine samples. Holmes hopes to obtain FDA approval for the device under the new emergency use authorization (EUA) for Zika detectors and, with luck, the product will put the brakes on the company’s downward spiral and turn around its future. The Holy Grail of diagnostics is the ability to provide Complete Blood Count (CBC) testing at the point of care. The importance of CBC testing – the blood tests most commonly prescribed by doctors – at the point of care cannot be underestimated, and that goal is behind the work of Sight Diagnostics, another young company pioneering an innovative medical device for faster, cheaper, fully automated blood diagnostics. Sight Diagnostics’s first application is malaria testing which, in of itself, represents a total addressable market estimated at $600 million per year. But the company is also developing its next-generation product that will be able to conduct CBC – addressing a major need in what is considered to be no less than a $5 billion global market. Currently, 75% of clinics are unable to conduct CBC tests on-site and by law must send blood samples to certified labs. 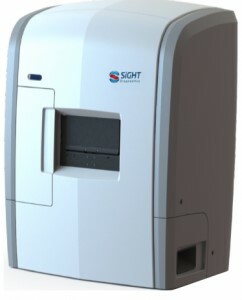 However, after receiving highly accurate clinical results and consulting world-leading regulatory experts, Sight Diagnostics believes that theirs will become the first medical device to receive a waiver from this certification requirement, making the Sight Diagnostics solution the first CBC testing device available for all clinics. The company, which recently received its first US patent (with approval pending for an additional thirteen patents), signed a contract with European medical device distribution company Biosynex for distribution in Africa and Europe, and it signed a similar contract with Becton Dickinson for distribution in India. In addition, it signed an agreement with a Chinese distributor that is undertaking responsibility for securing regulatory clearance for Sight Diagnostics’ solution in China. While automated CBC diagnostic systems already exist, they generally cost well over $35,000 and require liquid reagents. The few less expensive point-of-care tests that exist require regular calibration and are so inaccurate that they are not used in the developed world. Accurate testing at the point of care could provide rapid, actionable information, providing the data that is needed to make informed healthcare decisions and reducing time wasted on unnecessary follow-up appointments and hospitalizations. The new solutions being developed, which harness emerging technologies to provide timely and affordable testing, are critical because they can be effectively implemented in both urban and rural areas around the globe – and, as a result, they are essential in the healthcare community’s ongoing fight to save lives. To find out more about Sight Diagnostics and other investment opportunities on our platform, contact our Investor Relations team or visit our website. We are pleased to let you know about a new opportunity allowing OurCrowd investors to fund investments through IRA custodial accounts. An Individual Retirement Account (IRA) gives people based in the United States a way to build tax-deferred savings for retirement. An IRA is an account, not an investment. You can put just about whatever investments you want into your IRA — stocks, CDs, mutual funds, cash and bonds — anything except options and other derivatives. There are two types of IRA, both accepted by OurCrowd – Traditional IRA and Roth IRA. In a traditional IRA contributions are tax-deductible, with all transactions and earnings within the IRA having no tax impact, and withdrawals at retirement are taxed as income (except for those portions of the withdrawal corresponding to contributions that were not deducted). Depending upon the nature of the contribution, a traditional IRA may be referred to as a “deductible IRA” or a “non-deductible IRA.” It was introduced with the Employee Retirement Income Security Act of 1974 (ERISA) and made popular with the Economic Recovery Tax Act of 1981. In a Roth IRA, contributions are made with after-tax assets, all transactions within the IRA have no tax impact, and withdrawals are usually tax-free. Named for Senator William V. Roth, Jr., the Roth IRA was introduced as part of the Taxpayer Relief Act of 1997. Why is this good for investors? Investors with financial security and a sound retirement plan now have the ability to use tax-advantaged IRA accounts for alternative investments, giving you further opportunities to diversify your IRA portfolios. You can now invest in OurCrowd’s portfolio companies, funds, or Portfolio Reserve, straight from your IRA, giving you beneficial tax advantages. Here is an article written by the Wall Street Journal’s tax strategy reporter Laura Saunders on the topic. Forbes writes that disillusioned with returns on conventional investments, IRA owners are increasingly turning to alternative forms of investment, such as OurCrowd and other VCs, to maximize earnings on retirement. 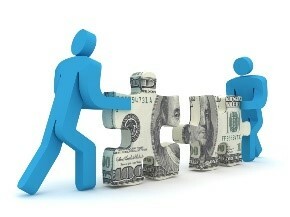 Of course, your financial planner and tax advisor should be consulted prior to any investment. While we don’t recommend any particular IRA, we have worked with Millennium Trust Company to create a seamless process that allows our investors to easily utilize any type of IRA account (Traditional, SEP, Simple, Roth, etc.) to invest through OurCrowd. With over $18 billion assets under custody, 15 years of experience, and expanded $2,500,000 FDIC insurance coverage, Millennium Trust manages over 400,000 accounts and we have worked with them to assure you will have a positive experience. If you’re interested in moving forward, contact our Investor Relations team for more information.